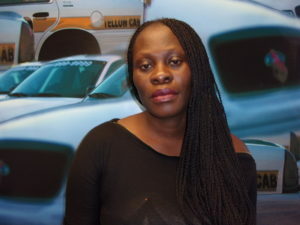 Gloria Bonnie is our March driver of the month. Gloria, born in Nigeria, is one of our Champion drivers who came aboard with Yellow Cab 5 months ago. Her dedication has shown that you can’t ride an elevator to success — you can only take Taxi Fares, one at a time. Congratulations Gloria & we thank you for being one of our top drivers here at Yellow Cab.